I think Hippoocrates mean by you not wasting food because other people dont have food and you should eat more healthy. I think it means that you have to eat healthily to not get ill. If you eat food that is healthy, your food becomes your medicine and keeps you fit! Instead of having to go to the doctors, you can eat healthily to to make you feel better. 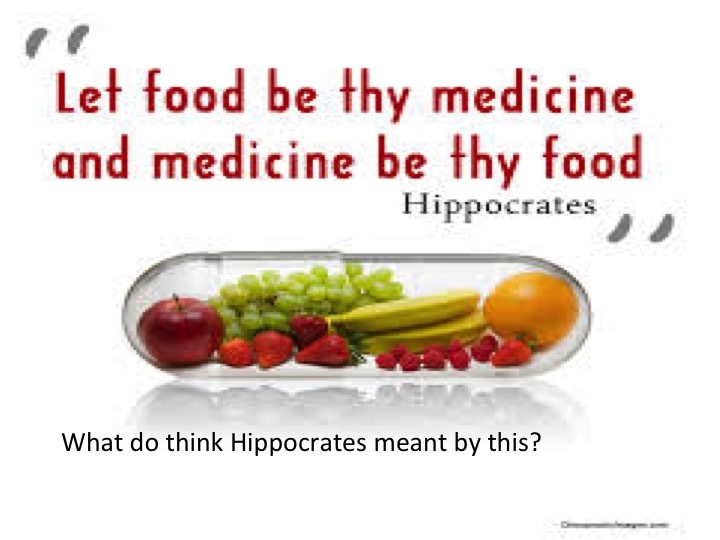 i think Hippocrates meant that when your ill, you should eat healthy food and have your medicine.i think that he also means that heathy food and medicine are like good working partners to help cures. I think it means that if you eat food some of it can be healthy and help you not catch diseases.